Technology has drastically changed how most companies do business, and pediatric dentistry is no exception. There have been some impressive advancements made available to dentists, and the continuous advent of new and better tools and software insures technology trends in pediatric dentistry will continue to improve the overall oral care of children. For children needed restorative treatments such as crowns, there are now crowns that are easy-to-use and ensure a successful restoration mostly every time they are used. There are crowns now available for centrals, laterals, cuspids and molars. 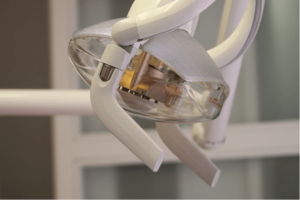 This is exciting news for pediatric dental professionals who work often with crowns. There are many that argue that not only are electric toothbrushes safe for kids, but they can actually be more effective than manual brushing as they can be easier to use. In the last few years, more manufacturers are understanding this need and have created lines of electric toothbrushes just for kids. Some have lights, music or are created after cartoon or other favorite characters; whatever might excite a child to brush twice a day. This trend is one that continues to grow as demand grows. Digital radiology x-rays are already on track to replace chemical films and developing, allowing for computerized images of a child’s mouth and the added ability to store, display and enhance images as needed. In addition, 3D imaging is quickly replacing the need for impressions. Working in conjunction with diagnostic software, pediatric dentists will have the ability to dental issues much earlier and treat accordingly. When the use of nitrous oxide is required, there are now digital flow meters that provide accurate dosing of nitrous oxide and oxygen in addition to advanced fail-safe mechanisms. They insure that there is no question of whether appropriate scavenging is in use when the system provides nitrous oxide, allowing for improved safety while delivering nitrous oxide. The trends in technology in the dentist’s office will continue to provide enhanced care for patients, reduce anxiety in parents, and help make pediatric dentists more efficient and effective, all with the shared goal of improving children’s dental health overall.